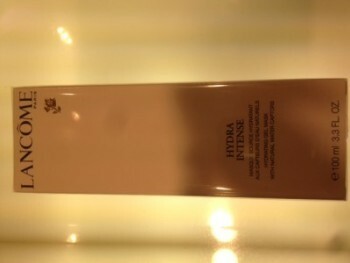 Lancôme promotes the Hydra Intense Hydrating Gel Masque as a product for every skin type. We don’t totally agree. We have tested it on several woman and we are confident it fits best for woman with dry skin. Applying the Hydra Intense Mask is very easy. Leave it on for 5 minutes and wipe it of with some tissues, which by the way is also easy. So the place isn’t a mess after using it. The smell is nice. What we all loved was that it was moisturizing. Too bad that the hydration is temporary. An other downside is that it contains some irritating ingredients. If you have a sensitive skin you have to be careful, some ladies did get red in the eye area, which is a very sensitive area, and that’s a shame. Don’t expect that it diminish the appearance of dry lines (the packaging claims that it does), but it does hydrate your skin temporally and feels nice.